The goal of every Taekwondo student is to become a Black Belt. This is because being a Black Belt is something very special. 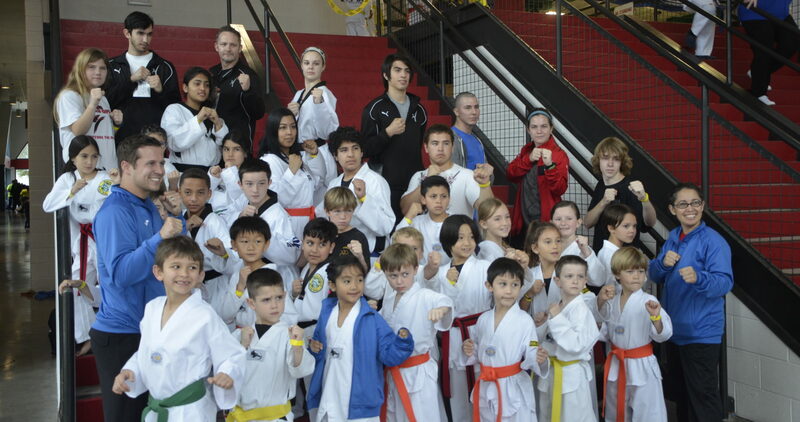 Only one out of at least 100 students who start Taekwondo stay with it to earn their Black Belt. Through dedication and effort, the Black Belt has mastered many of the techniques of Taekwondo. One is able to defend themselves and has become very strong – both physically and mentally. However, there is much more to being a Black Belt than being good at punching and kicking. Wearing the Black Belt means the wearer has dedicated a substantial amount of time and effort directed towards a specific goal. The Black Belt proves you have met your goal. Becoming a Black Belt is certainly a great honor, but with it comes much responsibility. When you become a Black Belt, the reputation of your Taekwondo Instructor, your school, the art, and, most importantly, yourself, all depend on your good behavior. Other people, in your school and outside of the Taekwondo school, will think of you as a very important person. You will have accomplished something great, and people will try to copy your behavior. Accordingly, you must act in a responsible and respectable manner at all times. This means that you must do what you think is right or best all the time. You must not be swayed by others who would have you do otherwise. You must set an example for other students in your Taekwondo school by doing your best 100% of the time. You must treat everybody with dignity and respect, and you will find that you will gain their respect in return. To wear the revered Black Belt, you must do your best and be your best because you are a winner and a leader !! !